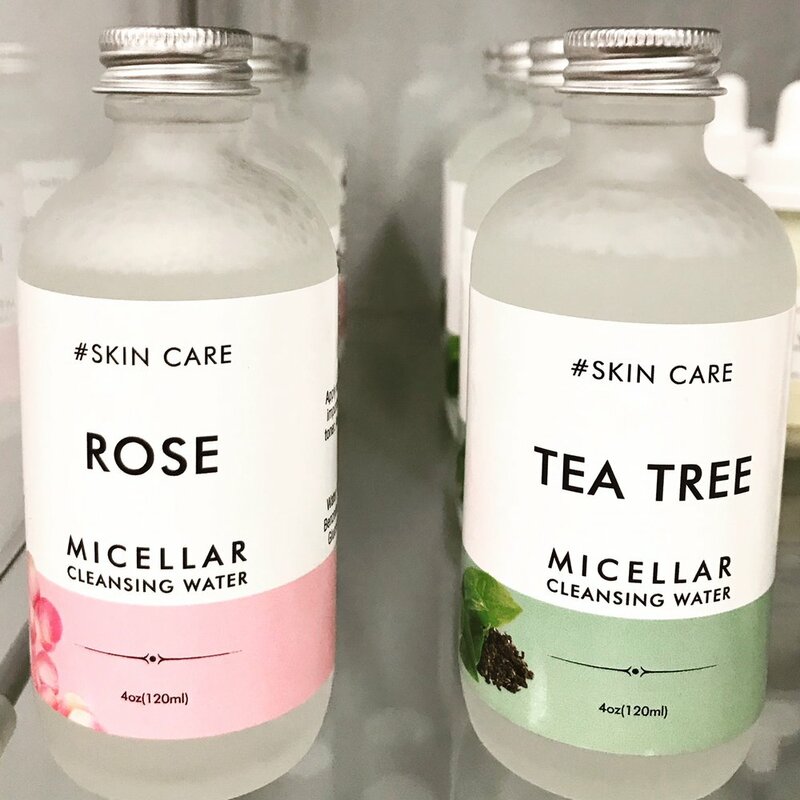 Our micellar waters are finally here! Its molecules have lipophilic ends, which means they latch onto the oils and impurities on skin and remove them without leaving your skin oily or clogging your pores. It was created years ago in France when tap water there was so bad that people didn’t want to use it on their face. Micellar waters can be used as make up remover and/or toner. Personally I use cleanser first , then swipe the remaining make up and impurities with micellar water to get a very soft and clean skin. We have Tea tree for acneic and oily skin and Rose for dry to normal, sensitive and aging skin. Stop by the studio to get yours 😉 Or of course go to our online store to order and enjoy.